Fujifilm and Panasonic today both introduced US$800, DSLR-like, mirrorless cameras. Both are following similar strategies. First, the price. The Fujifilm X-T1 and the Panasonic GH4 were well received cameras, but pretty much priced out of the range most consumers would consider. The new Fujifilm X-T10 and Panasonic G7 are essentially attempts to put as much of those top-end cameras into the middle of the consumer price range as possible. Indeed, the X-T10 and G7 both pretty much stack right up against a Canon Rebel T6i or Nikon D5500, the bread-and-butter cameras of the DSLR duopoly. 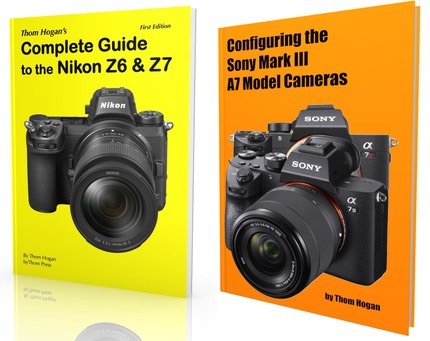 So here we have two DSLR-like mirrorless cameras competing pretty much head to head against two DSLRs. So we’re headed right back to where we were in the camera business: everyone beating their heads against each other for market share. Indeed, I have to wonder about the camera industry as a whole: it just can’t see how to get to the future. Instead, it keeps heading back to the past. Yes, the SLR design is a proven one. Yes, lots of direct, basic control is what most still shooters want. Yes, the now aging camera enthusiast likes retro-type homages to past cameras. But is it actually selling more cameras? No. Is it selling cameras to the young? Is it introducing new audiences to still cameras? Not really, though Panasonic’s push towards 4K does at least invoke a feeling of being at the front edge of technology, rather than the tailing edge. This is nothing about the quality of the cameras we’re getting. I expect the new Fujifilm and Panasonic models to be very good products that can handle most shooters’ needs. In the sense that competition is good, more models that are basically clones in features and performance has to be registered as good. However I suspect that all this is going to do that consumers will see as good is push prices downward some more. Indeed, the image quality from both these new competitors isn’t expected to be better than the higher-end models they supplement, so they’re already pushing pricing down just by appearing. I know I sound like a broken record, but the Japanese camera companies are now just in a self-imposed tailspin. They’re repeating the same patterns in a declining market that they made in the last declining market, apparently expecting a different result. It’s going to take a bold, modern, well-thought out approach to still cameras in order to break the rush to the ground and eventual crash. Neither of today’s new cameras are that. Instead, they’re the old betting strategies re-instigated in a world where the game being played has changed. I’m sure many of us will enjoy the X-T10 and G7. It certainly will make it less costly to sample the higher-end X and m4/3 worlds for some of you. But these cameras also show that we’re in a rut. Next thing you know we’ll see tail fins and more chrome. One of the things I enjoyed about mirrorless was that it did start down a different path of thinking about what a still camera is and should look like, and produced something that was useful that wasn’t a DSLR. If the end result of mirrorless is that we just get more DSLRs, only smaller and without the mirror plus cheaper for the manufacturer to make, then we really haven’t progressed. The NEX-7 and NEX-6 held promise as something entirely new. With a different take on how you directly control the camera, a much more compact package, and the nascent communication and PlayMemories applications, I had high hopes for those mirrorless models showing the road to the future of still photography. It seems that this road has now looped back the road we were on before. Here’s hoping to the road not taken actually being taken again.